Created by: Grant Morrison based on the original created by Robert Kanigher and Don Heck. Skills and Abilities: From birth she was taught the ways of warfare. As wonder woman: She has the same powers as Wonder woman including the lasso of truth, strength on par with Superman and access to all the technology of Paradise island. 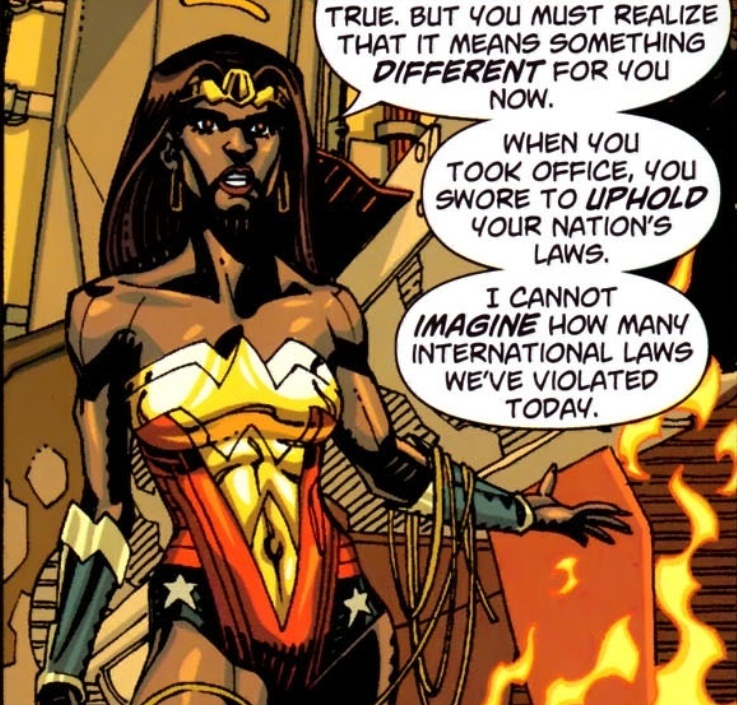 During Final crisis we see Nubia is the Wonder woman of her earth and is on friendly terms with the superman of her earth a Black Superman who also happens to be his world’s president. Her place of residence in known as Amazonia and she appears to be the queen there. Oops. Her first appearance was in 1973. Anyway, I LOVE your site! I can see a new black power couple between Icon & Nubia.